"A Diner On The Way"
The Merc Playhouse is pleased to present the national debut of “A Diner On The Way," a drama that shines a light on how multi-faceted life can be: a burden, or a way to freedom; a rushing embarrassment, or an incredible source of amusement – you decide. “A Diner On The Way” is a suspenseful, humorous and witty play told through the lens of the Hubbards: a big city family traveling through a very small town, stopping for a quick bite at a local diner. What they discover about themselves and their new acquaintances is much more than they ever expected. Thursday, 7/18's Performance is Admission by Donation. Boeing Boeing, a hilarious French comedy by Mark Camoletti and adapted to the English stage by Beverly Cross, is a fast-faced romp. The play features self-styled Parisian lothario Bernard, who has Italian, German, and American fiancées, each a beautiful airline hostess with frequent “layovers.” He keeps “one up, one down, and one pending” until unexpected schedule changes bring all three to Paris, and Bernard’s apartment, at the same time. The Merc Playhouse is pleased to present "Rope," a mind-thriller production perfect for the fall season. Thursday, 11/21's Performance is Admission by Donation. 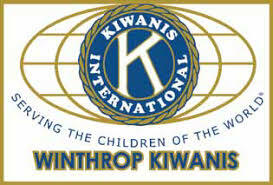 Programming supported by the Moccasin Lake Foundation and the Winthrop Kiwanis. Additional funding by Okanogan County Lodging Tax & Tourism.